Awards, publications, recognition? Feature articles in ARIZONA DAILY STAR, and therapeutic and harp music journals. Certified Music Practitioner. 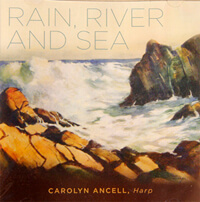 “Rain, River and Sea is a collection of music about water: semi-classical, popular, spiritual, folk, ethnic, nostalgic. It includes several pieces for two harps, and a harp-cello duo. 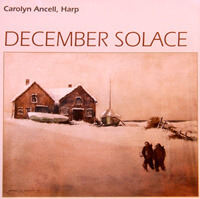 “December Solace is a relaxing mix of Christmas and Chanukah music that includes several harp/flute duets. It comes with a guide for peaceful, thoughtful listening in this busy season.